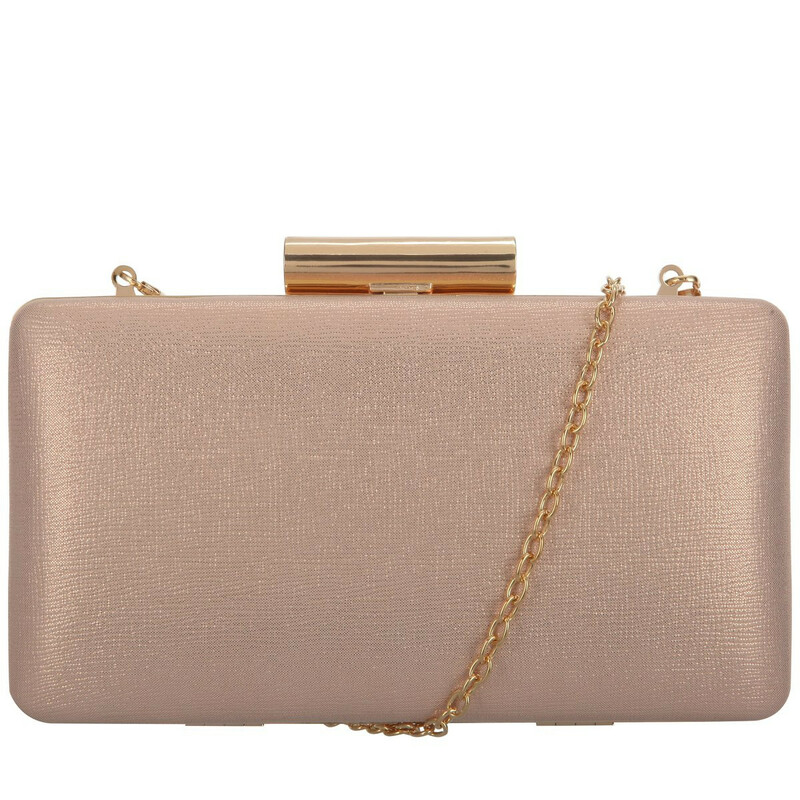 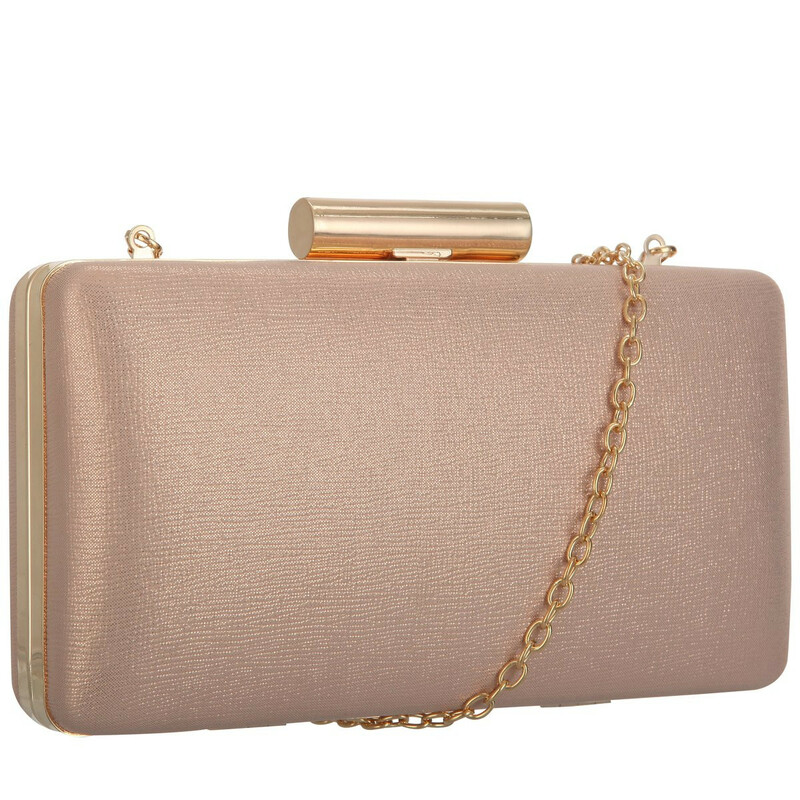 For evening elegance, choose this stunning metallic clutch bag. 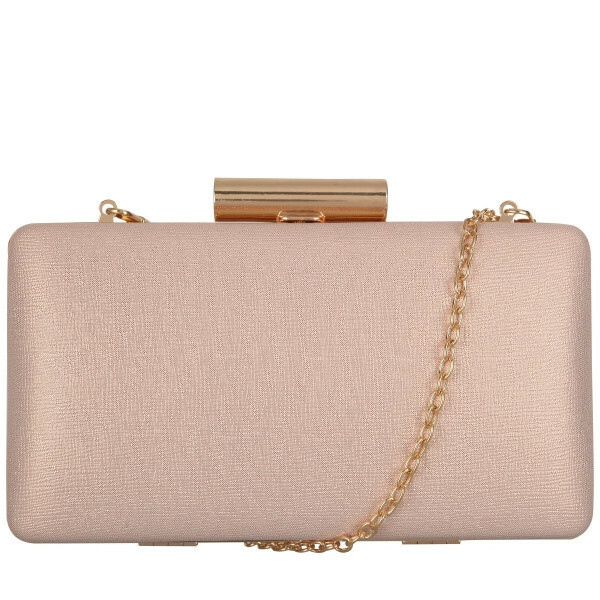 The detachable chain strap allows for versatile styling. 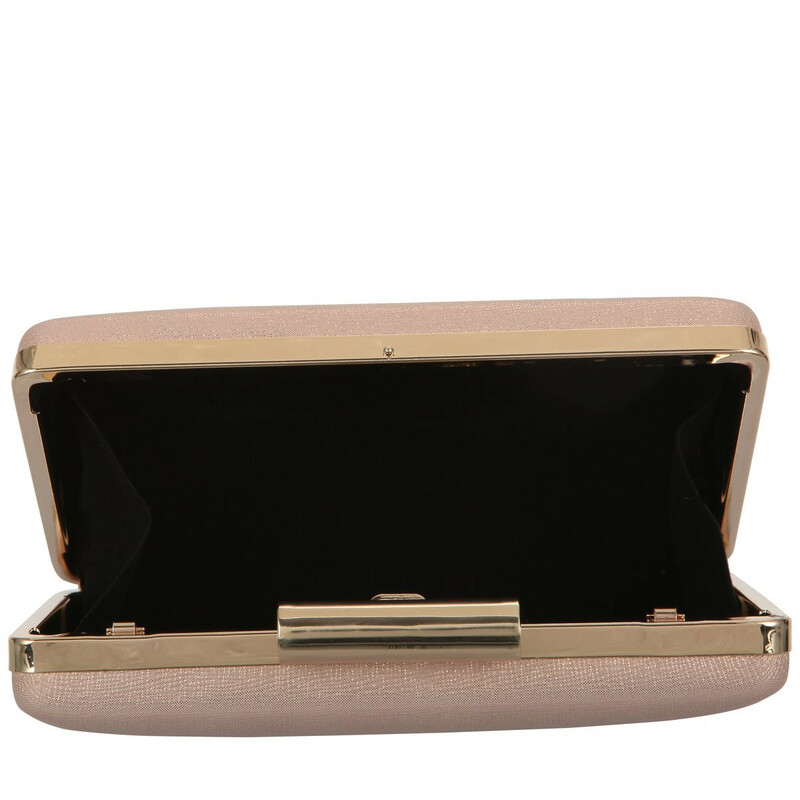 The gold frame and clasp top fastening adds a touch of glam and compliments the minimalistic, yet fashion forward finish.